Forbes — Later in November, FORBES will publish its second annual ranking of the 40 Richest People in Africa. A lot of research has gone into the making of this list and this year, we’ve uncovered several hidden holders of wealth across the continent. Many of them are names you’ve probably never heard. In the coming days, this author will list at random, some relatively unknown high net-worth individuals from various African countries, pulled from our extensive wealth database. Here are five low-key, ultra-wealthy Ugandan tycoons, entrepreneurs and business leaders. Each of them is worth more than $50 million. There are no politicians or criminals here — just good, successful businessmen. Born in Uganda, Ruparelia moved to the United Kingdom with his parent as the age of 16 after President Idi Amin expelled all Asians from the East African country. In the U.K, Ruparelia worked small jobs, returning to Uganda in 1985 with $25,000 in savings. With that he started a commodities trading business and Uganda’s first foreign exchange bureau. The business snowballed into the Ruparelia Group, Uganda’s largest privately held conglomerate. The group is said to be the single largest private property owner in Uganda and it employs over 6,000 people. Ruparelia also owns Crane Bank, the country’s fourth largest commercial bank, Goldstar Insurance, hotels, country clubs, and a chain of foreign exchange bureaus across the country. 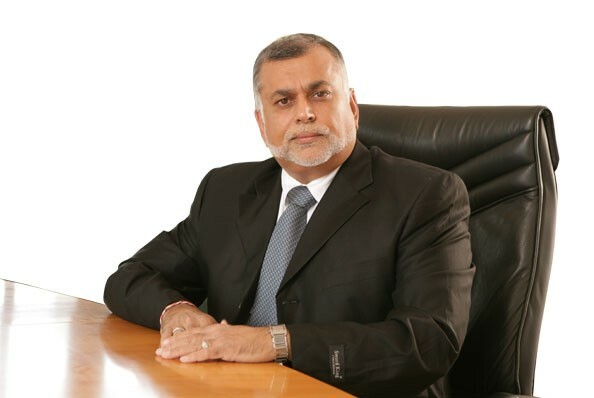 (Watch for a detailed feature on Sudhir Ruparelia in this year’s edition of Africa’s 40 Richest). Bitature is the founder and chairman of Simba Telecom, East Africa’s largest mobile phone retailer with over 100 modern retail outlets in Uganda, Tanzania and Kenya Telecom. The company is also the largest mobile phone airtime distributor in the region. Bitature owns Protea Hotels Kampala, a 5-star hotel located in the upmarket suburb of Kololo in Kampala. He is also chairs the Uganda Investment Authority and Umeme, an energy distribution firm which is gearing up for an IPO on the Uganda Stock Exchange. One of Uganda’s most revered boardroom gurus and investors, Mbire is one of the largest individual shareholders in mobile phone network giant MTN Uganda’s operations. His Bomi Holding Company owns a 15% stake in the lucrative Rift Valley Railways. (For perspective, Citadel Capital owns a 51% stake which it acquired last year for $287 million). He also owns stakes in and sits on the boards of Ecobank Uganda, Eskom Uganda and Invesco Uganda Limited. Amiral Karmali is the founder of East Africa’s Mukwano Group – an industrial conglomerate that manufactures cooking oils, fats, toilet soaps and cosmetics to industrial plastics and detergents. The group has annual revenues of over $230 million and most of the company’s products are market leaders. Karmali is also one of Uganda’s biggest landlords; he owns 17,000 acres of land in Uganda’s Masindi district. Nzeyi is the chairman and owner of Crown Beverages, Uganda’s sole bottler of PepsiCo products. He also owned a 40% stake in Uganda’s National Bank of Commerce before it was taken over by Ruparelia’s Crane Bank in September.